Think BIG – Are your goals big enough? It doesn’t matter what the goal is, make it bigger! Often we are held back by imaginary limitations, dream big and you will be surprised what you can achieve. I recently read this story on JEFF ROBERTI blog which beautifully illustrates the point! “My daughter was seven at the time. She loved to play catch, and I did also. The object we threw did not matter: a tennis ball, football, or any ball for that matter. It was the challenge of consecutive catches that mattered very much to her. I remember one day when my focused little daughter said, “Dad, let’s try for 100 in a row.” Since our best at that point was 50, I politely chuckled and said, “Sure, honey.” And guess what, after a few attempts, we did it. I had to share the story with you, go over the goals you set earlier in the year and make them bigger!! What will it take to stop using excuses to control your life and hold you back from new opportunities and possibilities? All areas of our life involve change – things move on and develop. It is fair to say that nothing stays the same. Sometimes we have control over those changes and sometimes we don’t. However one thing is for certain and that is our attitude and action to change. Making excuses is a negative attitude that leads to negative action or NO action whatsoever. Excuses can be stopped. We can stop excuses right in their tracks with an immediate shift in mindset! However sometimes those excuses creep in and take over without us noticing, so how can we get rid of those doubts and excuses so that we can live a fulfilling life? Be it in our personal or professional life, if we know what our goals are, then it’s much easier to banish those excuses ! Know what you want from life. Live your dream – no dream is too small or insignificant. If it matters to you, then IT matters!! 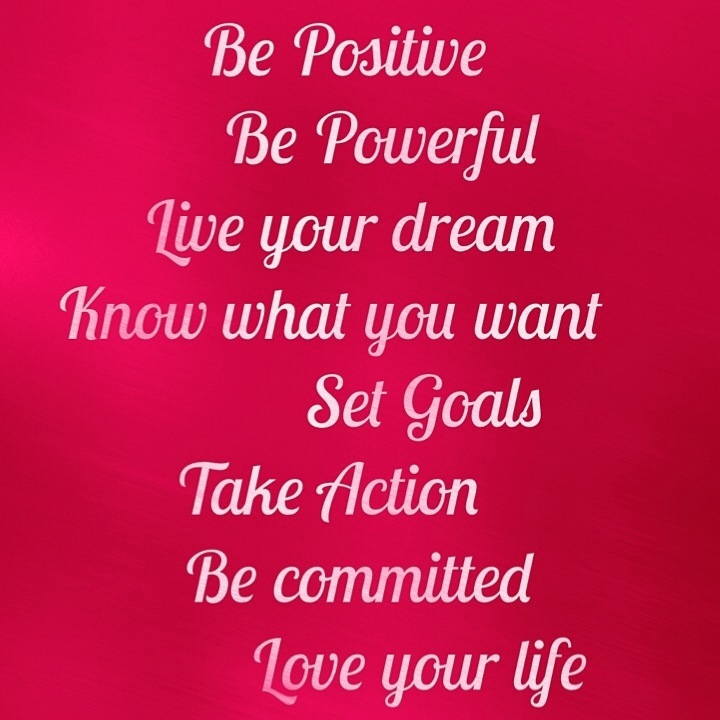 Decide what action you need to take to live your dream – set yourself goals & write them down. The physical act of writing down a goal makes it real and tangible. Put it somewhere visible that you see every day – no excuses! If you want to live your dream then others need to know what that is. If you don’t like your handwriting then get it made into a bright & bold sign by a company. No excuses, remember! Make those goals powerful – turn any phrase that could be viewed as negative into a positive. If you’re not sure what I mean, ask someone else to look over them for you. Give your goals passion and excitement – how could you possibly make up an excuse to not carry out those thrilling, exciting and fun goals?! 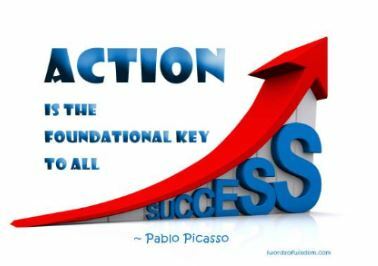 Make an action plan – write out the different steps you need to take – don’t worry about how will afford it or how you will find the time (these are the most wonderful excuses!) and instead focus on how the steps need to happen in order to achieve your dream. Be positive and trust yourself that they will happen. Be committed to do what it takes, and you will have what you want. Take action by sticking at your goals. Build in time to review your goals – your end result or goal may be the same over a longer period of time but your action plan may need to change along the way. Make sure your dream is something you really desire – if you don’t need it then those excuses will find a way to talk you out of it. Keep it relevant & place high value on your dream. Only you can banish those excuses; only you can decide what you want from your life. Should you bother making New Year’s resolutions? Why do we make New Year’s resolutions? Resolutions are hopes/aims for the coming year, things we would like to change that the previous 12 months didn’t deliver. Apparently making resolutions goes way back in history, starting with the Babylonians some 4000 years ago, who reportedly made promises to the gods in hopes they’d earn good favour in the coming year. They often resolved to get out of debt! Does that resolution sound familiar? How about these: ‘Losing weight’, ‘exercising more’, ‘spending less and saving more’, ‘quitting smoking’, ‘being a better person’ – these are year on year the top resolutions people make. Richard Wiseman, a psychologist and author, discovered that 52 percent of people making New Year’s resolutions were confident they’d stick it out. Yet only a scant 12 percent really did. If so few of us actually stick to making New Year’s resolutions, why do we bother? If you want to change something in your life why do we wait for a particular time of year? Resolution is just another name for goal, we should all be aiming for something! If the New Year is the best time for you to review your goals then go for it but follow these simple tips below so you keep working on your resolutions/goal’s all the year through! Realize that New Year’s Day is just another day and that making resolutions on this day is no different from making a resolution on any other day. Get specific. When you set yourself a goal, try to be as specific as possible. “Lose 5 pounds” is a better goal than “lose some weight,” because it gives you a clear idea of what success looks like. Knowing exactly what you want to achieve keeps you motivated until you get there. Also, think about the specific actions that need to be taken to reach your goal. Decide when and where you will take each action you want to take, in advance. Again, be as specific as possible (e.g., “If it’s Monday, Wednesday, or Friday, I’ll work out for 30 minutes before work.”) Studies show that this kind of planning will help your brain to detect and seize the opportunity when it arises, increasing your chances of success by roughly 300%. Believing you have the ability to reach your goals is important, but so is believing you can get the ability… Embracing the fact that you can change will allow you to make better choices, and reach your fullest potential. People whose goals are about getting better, rather than being good, appreciate the journey as much as the destination. Build your willpower muscle. Your self-control “muscle” is just like the other muscles in your body — when it doesn’t get much exercise, it becomes weaker over time. But when you give it regular workouts by putting it to good use, it will grow stronger and stronger, and better able to help you successfully reach your goals. Remember you are stronger than you know, braver than you believe and smarter than you think you are! ‘Chunk’ the vision – one step at a time.